Capturing the bold spirit of the great outdoors, these best-selling candles add a scenic style to any decor. Each Timberline Pillar is adorned with an artistic canopy of tree-like branches on top combined with the smooth weathered bark on the candle's trunk. 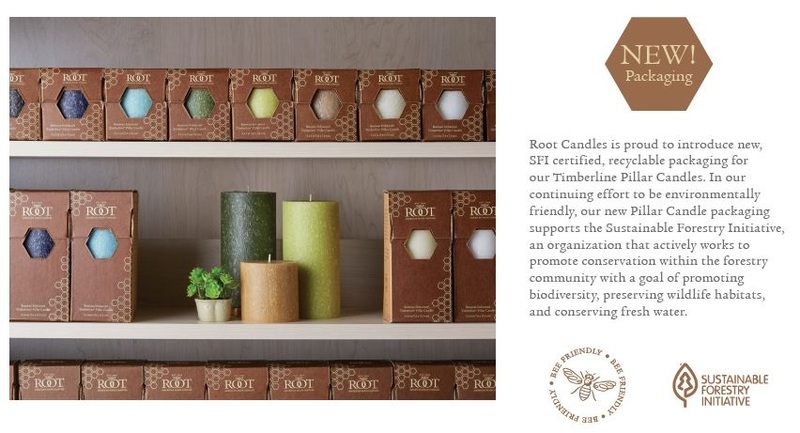 *When viewing Root Candle colors, please keep in mind that colors appear differently on different computer monitors and mobile devices. While we strive to accurately show our beautiful color palette online, differences may occur based on the make and model of your computer monitor or mobile device.